In keeping with our community outreach and injury prevention, Dr. Brian Adams spoke to a group of 150 Chrysler employees during a “lunch and learn” at the FCA / Chrysler / Fiat Headquarters in Auburn Hills, MI. 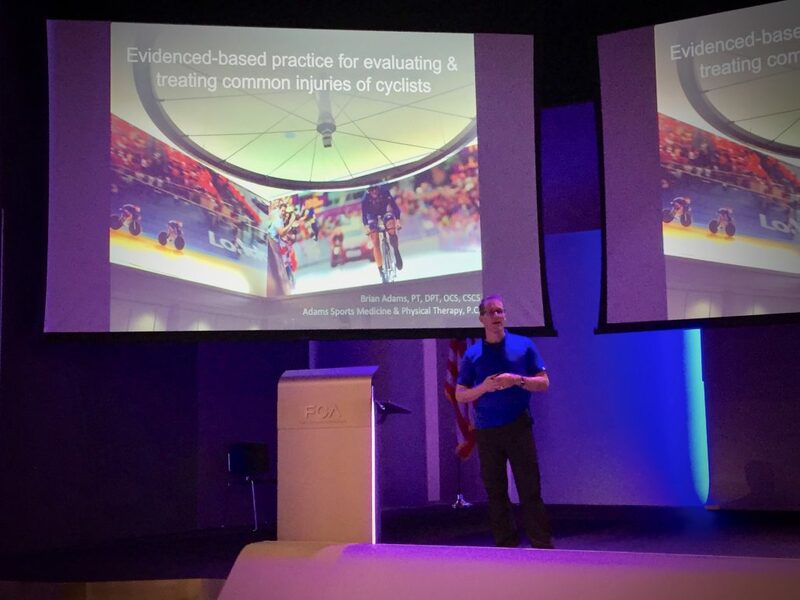 The sold-out event was directed specifically to cyclists and how to optimize training, improve cycling form and address injury prevention through off season training. Time was also spent outlining the benefits of a professional bike fit. Dr. Adams discussed the basic anatomy, biomechanics and physiology of cycling, and how to best utilize the off season to address soft tissue and strength issues with off-the-bike training and mobility. Just one of the many ways our team is effective at treating sports injuries after they occur… but we are also doing our best to prevent them!